Update: Since it is Children’s Mental Health Week, I wanted to reintroduce the topic of Children with ADHD. Not many studies have looked at the long-term effects of ADHD medications. There has been some research done, though, and it raises red flags. Stimulant medications can be effective and provide a relative feeling of safety, but parents are concerned abou t these ‘mind-altering’ medications being used over a long period of time. Parents and adults with ADHD understand there is no cure-all, but have noticed huge differences from non-medical treatments.The study of ADHD is still in its infant stages, and there is still much to discover. Studies have shown certain foods and additives might affect particular symptoms in a subset of children with ADHD (Millichamp, 2012). This is why eating the best diet is crucial to managing ADHD. What you eat determines how well your brain functions! 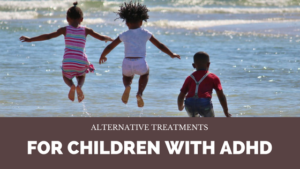 Here are various alternative therapies for ADHD, which are offered as substitutes or supplements to medication and behavioral treatments. 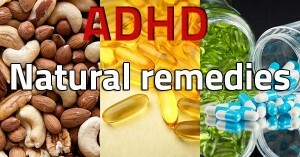 Diet is one of the most important “remedies” for ADHD. A good diet will help get your body aligned. PROTEIN! Try to eat a protein with every meal! It doesn’t just have to be Omega-3 rich foods like salmon, tuna, and other cold-water fish. FEINGOLD DIET forbids artificial food colors, flavorings, sweeteners, and preservatives, as well as salicylates, naturally occurring compounds found in some fruits and vegetables. Certain food colorings and preservatives may increase hyperactive behavior in some children so reducing them with this diet could help. ALLERGIES There have been some recent studies that suggest that sensitivities to certain foods may worsen symptoms of ADHD in children. It’s best to check with an allergy doctor if you suspect that your child has allergies. But you can experiment by avoiding these foods: milk, eggs, chocolate, various fruits and mashed potatoes. Anyone living with this disruptive disorder that follows a diet should begin feeling an ease in the symptoms. So far, though, the evidence provides only limited support for restrictive diets, avoiding preservatives or artificial food colorings, consuming more omega-3 fats, or taking specific vitamins or minerals. Get moving and get outside! Tai Chi: Researchers found that teenagers with ADHD who practiced tai chi weren’t as anxious or hyperactive. They also daydreamed less and displayed fewer inappropriate emotions when they participated in tai chi classes twice a week for five weeks (Colleen, 2016). YOGA! Yoga helps with anxiety and calms down the body. There are claims that it helps greatly with children and keeping them from getting distracted by everything. Get Outside! There is strong evidence that spending even 20 minutes outside can benefit children by improving their concentration. Greenery and nature settings are the most beneficial for stimulation of the brain. Supplemental diet therapy is simple, relatively inexpensive, and more acceptable to patient and parent. Public education regarding a healthy diet pattern and lifestyle to prevent or control ADHD may have greater long-term success.